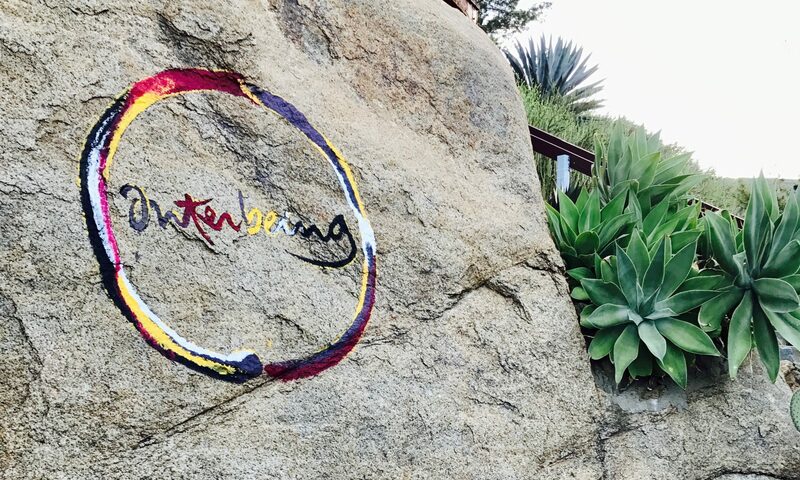 The Order of Interbeing was founded by and continues to be inspired by Thich Nhat Hanh, a Vietnamese Buddhist monk, teacher, author, poet, and peace activist. Thay (teacher), as he is called by his friends and students, was born in central Vietnam in 1926. He became a novice monk in the Vietnamese Zen tradition at 16 years of age and received full monastic ordination six years later (see full lineage history). By his early twenties he was a national known poet and writer, focusing his attention on ways to make Buddhist practice applicable to everyday life and social issues. During the 1960’s, as the suffering caused by the war between communist North Vietnam and US-supported South Vietnam intensified, Thay and other Buddhist clergy looked for ways to alleviate suffering and find a way to peace. In Vietnam, Thay established the School of Youth for Social Services (SYSS), a training program for young social workers wishing to bring practical aid and social support to war-torn villages. Realizing that the roots of the war were outside Vietnam as well as inside it, Thay agreed to come to the U.S. to represent the Buddhist clergy’s understanding of the war and its causes and consequences. In the U.S. he met with anti-war leaders, politicians, and religious leaders, including Martin Luther King, Jr., Robert McNamara, and Thomas Merton. Because he advocated peace and reconciliation, rather than victory, he presence in Vietnam was not welcomed either by the politicians of South Vietnam, nor by the Communist Vietnamese leaders after the fall of Saigon in 1975. He remained in exile, from 1966 until 2005, when he was allowed to return to Vietnam for a three-month teaching visit. 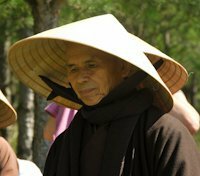 In the West Thay led the Buddhist Peace Delegation at the Paris Peace Talks (1969-73) and later established spiritual communities in France, first to support Vietnamese refugees, and then later to train monastics and lay practitioners. The Plum Village Practice Center, established in southeastern France in 1982, flourished and now includes three hamlets or communities near Bordeaux, as well as Deer Park monastery in California, Green Mountain Dharma Center and Maple Forest Monastery in Vermont, and Magnolia Village in Mississippi. In addition to the Plum Village communities, thousands of lay practitioners gather regularly around the world in Sanghas and Mindfulness Practice Centers to practice mindfulness in the Plum Village tradition. While many of the lay practitioners identify themselves as Buddhists, many are also committed to other faith traditions. They share in common, however, an aspiration to emulate Thay’s particular blending of deep spiritual practice with authentic engagement in relationships and social issues. Even in his 70’s and 80’s, Thay has continued to be an inspiring teacher and prolific writer. He is the author of more than 85 books, many published in multiple languages. Among his best known works are Miracle of Mindfulness, Being Peace, Peace is Every Step, True Love, Anger, Calming the Fearful Mind and Living Buddha, Living Christ. Many of Thich Nhat Hanh’s English language books are published by Parallax Press, and all of his English language titles are available on their website. A history of Thay’s lineage, A Letter to Friends About Our Lineage, written by Thay Phap Dung was shared in 2006 from Plum Village.